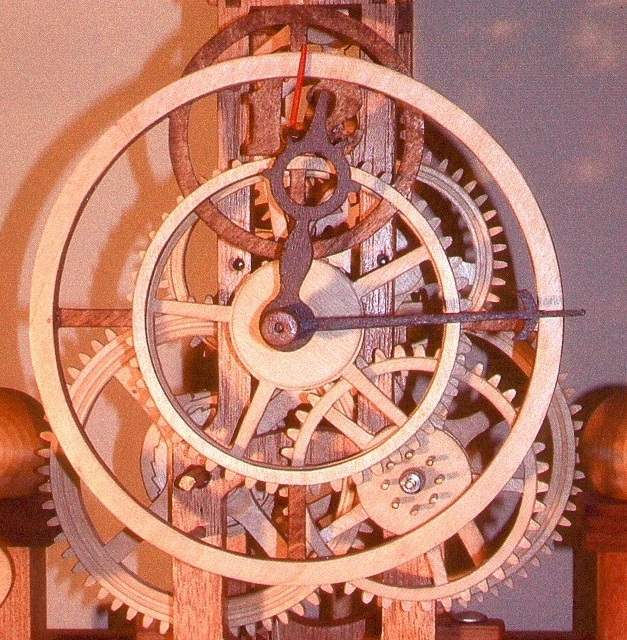 Rus said, I wanted to make a clock that looked like a machine made out of wood. A clock that looked as interesting from the side and back as it did from the front. All the wheels and arbors were turned on a lathe. The teeth and leaves were cut on a gear cutting engine made from spade bits.